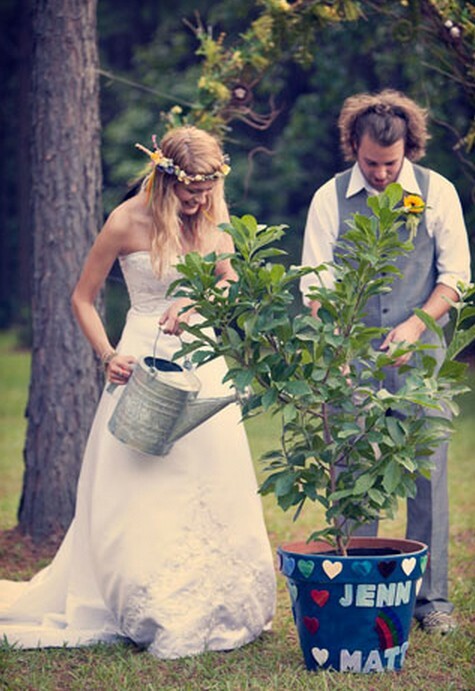 Ask the couple to plant a tree on a decorated pot which they need to care for and nurture in order for it to grow just like their love for each other! See more photos from this wedding on the source. See tips for creating this idea. See several speech ideas for the officiant to make about this ceremony.